← Are you a fish or a mudskipper? Take the opportunity today to thank everybody from your past because of where you are today and where you will be tomorrow. You do realise that everything that has ever happened to you, good or bad, has brought you to where you are today. You may be in a great place right now, so think if any tiny little thing in your past were different it would have changed your trajectory and you may well be in a very different place right now rather than where you are. All those not so good places were necessary in order for you to be here. If you’re not in such a great place just realise that you are in one of those not so good places that will lead you to the great place later. So appreciate it for what it is. Why only appreciate it later? Thank everything and everybody from your past for helping to get you here. Thank ‘here’ for being part of the journey that’s going to get you ‘there’ in the future. 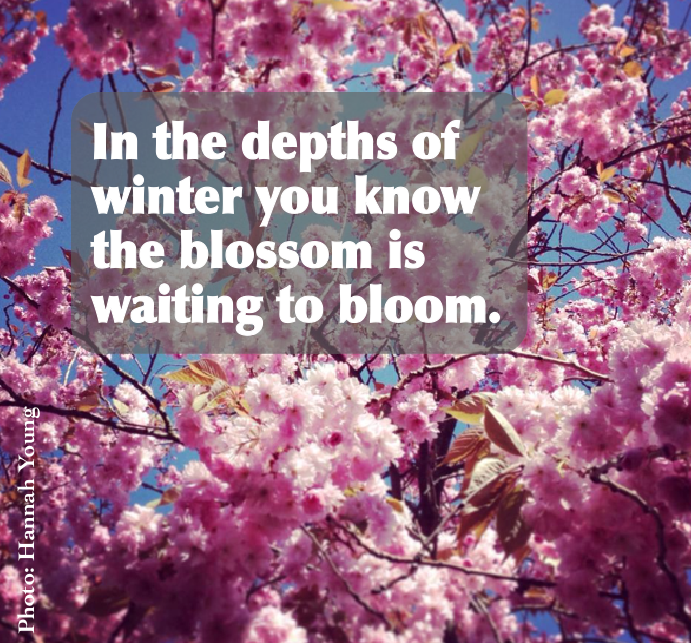 And always remember… in the depths of winter the blossom is waiting to bloom. Who will you thank, and for what? PS: This is p.358 of my book ‘How To Change Your Life One Day At A Time‘. I think the biggest power we enjoy being humans is the inability to foresee our future. We are indeed clueless about future but the thing that binds courage is ‘hope’… we ever remain hopeful. Even the wrong decisions and right judgement that lands us in a place so disdain, we continue with hope.. Well I would love to read your book, how can I get it? Is there any E subscription? Hi, What a great blog you have! I have troubles appreciating the past, I recently destroyed my relationship for just being childish and scared because of an earlier bad experience ( I don’t thank that one either). Now I almost find it hard to eat and breath because I find it so hard to forgive myself…I’m thinking all the time …if I haven’t said that..and that I wouldn’t have spoiled it all….I’ve been trying to repair…but I don’t think it’s possible…it seems like the spark from the other person is gone. In moments like this, it’s so encouraging and also comforting to read blogs like yours, Thank you!